Country Road In To The Winter Mountains At Sunset. 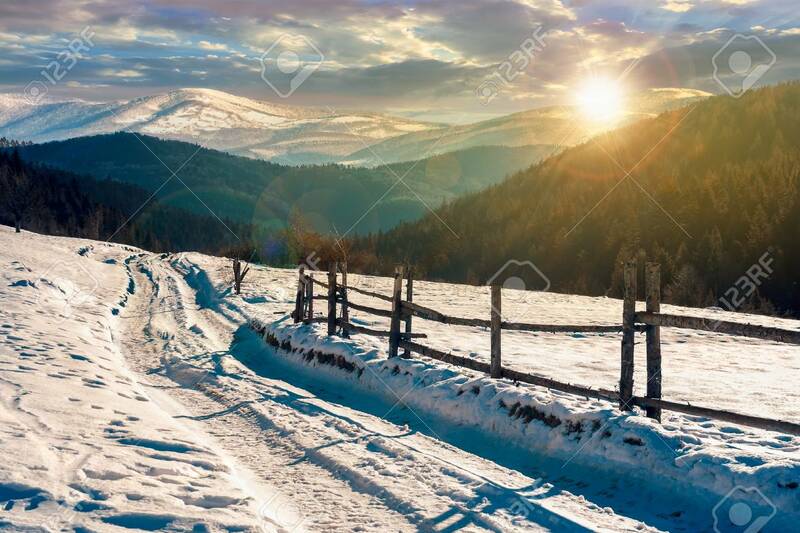 Wooden Fence.. Stock Photo, Picture And Royalty Free Image. Image 113389525.